French production duo Bost & Bim have for the past 15 years continuously put out new and exciting reggae music. They have managed to gain respect from all around the world and collaborated with top-notch singers and deejays like Sizzla, Capleton, Chronixx, Gentleman and Alborosie. 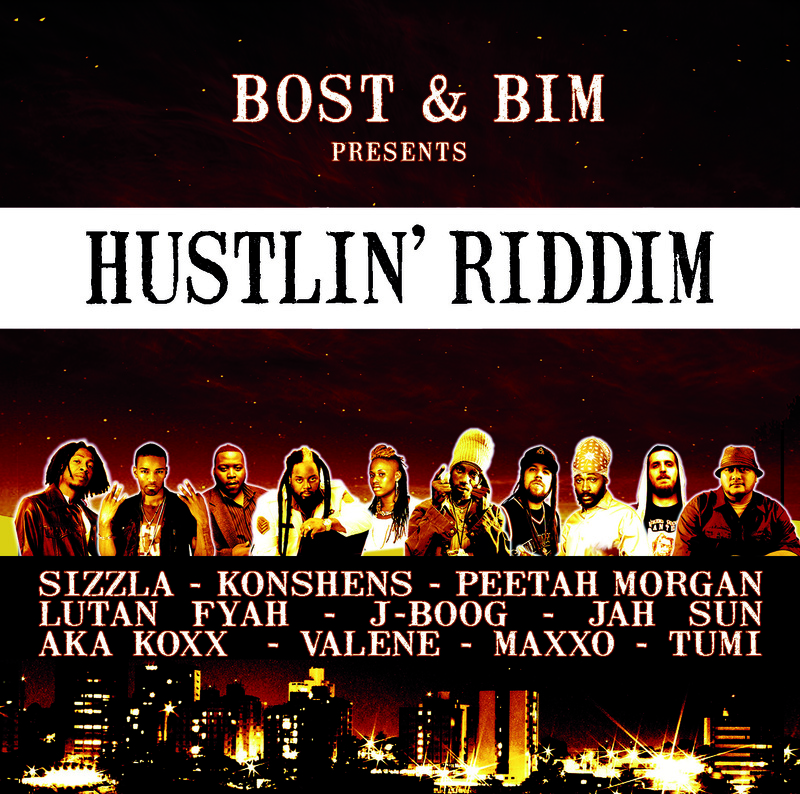 Bost & Bim have never been huge fans of genres and they have put an effort into blending organic rootsy riddims with digital dancehall-fused reggae, hip-hop and soul. Sometimes sophisticated and grand, at other times minimalist and hard. They have also been pioneering reggae mash-ups with their acclaimed Yankees a Yard mixtapes, on which they give new life to well-known hip-hop and R&B by transforming them into groovy reggae. Their latest project is on the verge to jazz. 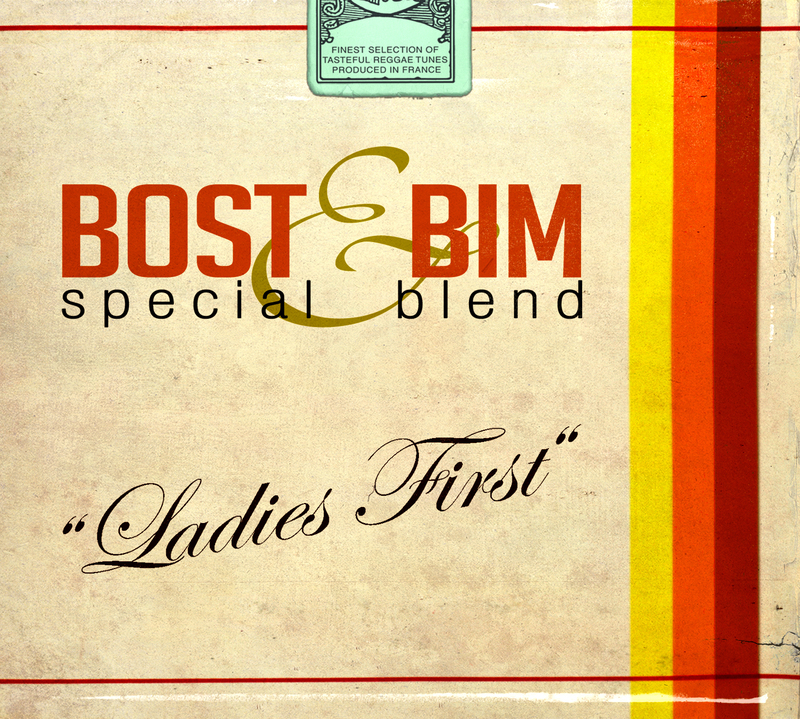 Special Blend – Ladies First is in a press release described as a more personal project, a project that has come to mind from meeting various artists around the world. Special Blend will become a series and Ladies First is its first volume. It collects six vocal cuts from U.S. singers Brisa Roché, MoZella and Rosey, Mariama from Sierra Leone/Germany, Jaqee from Uganda/Sweden and Ellen Birath from Sweden. These six singers are based in the jazz, soul and pop traditions and Bost & Bim give them a reggae treat on this very exciting project. The set ranges from the rootsy Sweat King to the sweet Tiny Little Oranges. There’s also the heartfelt Intangled Situation and the somewhat more dancehall-oriented No Way. The vocals are accompanied by tough dub versions and minimalist remixes from themselves along with Fabwize, Left Lane and Masta. I’ve been a huge fan of Bost & Bim for a long a time and they were one of the first interviews I did. I was overwhelmed by Yankees a Yard and needed to find out more and I’ve been hooked on their music ever since. Californian singjay Jah Sun impressed last year with his third album Battle the Dragon recorded for a variety of European and U.S. producers. Now he’s back with his fourth set and the recipe is the same, but this time the formula has been perfected. The singles that have preceded Rise as One – Everyday of the Week and the Kabaka Pyramid combination Foundation – show just how great this 15 track album is. It’s loaded with energy, excellent vocal arrangements, memorable hooks and pop melodies as well as pulsating one drop riddims and bouncy hip-hop jams. 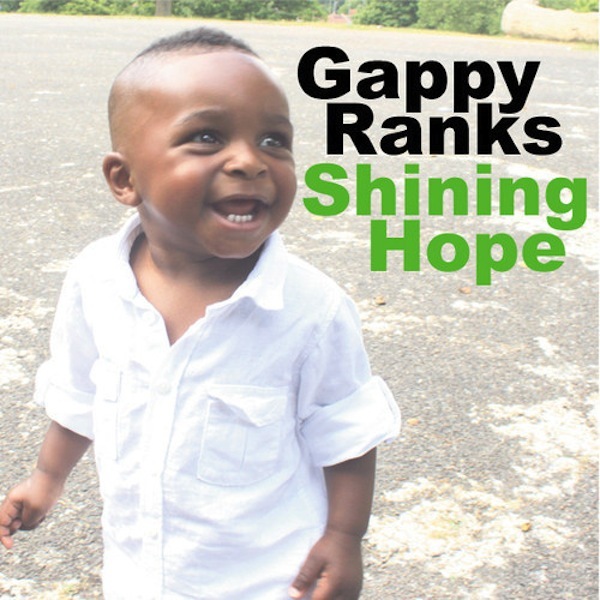 As with Jah Sun’s previous albums this set also offers positive and conscious lyrics along with several notable combinations, for example Never Stray with Gappy Ranks, a tune with a hook that sticks like glue, or the playful Top Ranking with Chronixx. On No Matter Sizzla shows good old skills and Can’t Live, with Richie Spice singing the chorus, has a distinct melody and irresistible groove. 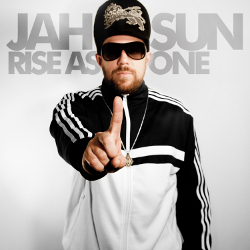 On the title track Jah Sun sings “This is the song that mainstream would never play, this is the chant that was banned by every DJ, no radio or TV would a touch it, why? Cause this a the real reggae music, this a the real ragamuffin… Commercial top ten a get bun up everyday”. That’s sadly the reality, but don’t let that stop you from check out Rise as One, because Jah Sun has together with producers such as Bost & Bim, Bizzarri, House of Riddim and Oneness created one of the best albums this year. It might not be strictly authentic Jamaican in its approach, but it shows that European and U.S. reggae is a force to be reckoned with and Jah Sun has definitely risen to the top of the game. About a year ago I wrote a piece on the vibrating French reggae scene. One of the interviewees was Pierre Bost, producer and co-founder of Special Delivery Music, a label that last year celebrated its tenth anniversary. 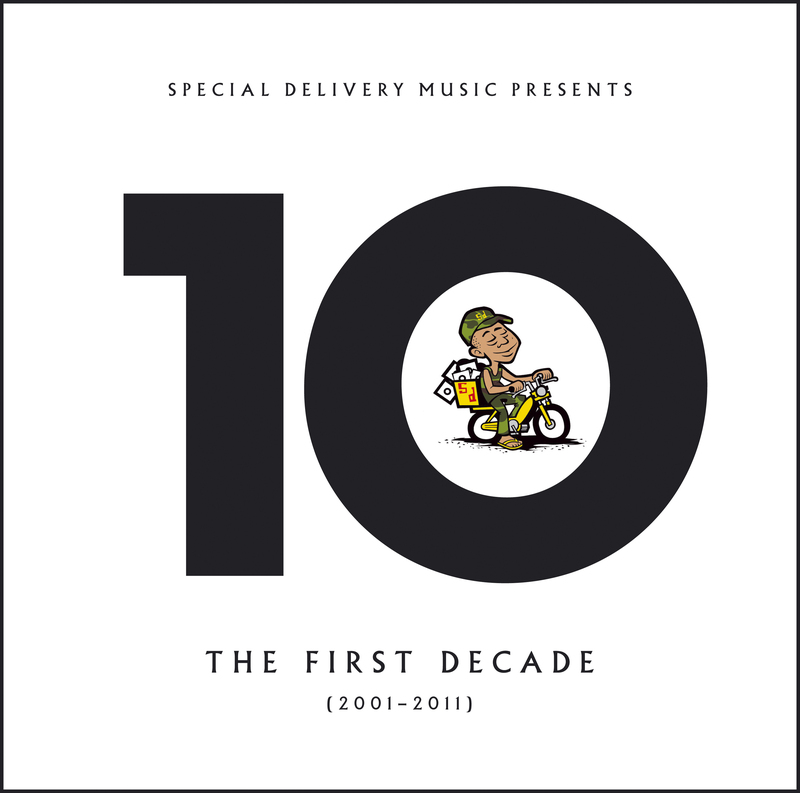 As a celebration Special Delivery now drops the 14 track compilation The 1st Decade 2001-2011.The compilation highlights some the most popular tracks recorded over the past ten years in Jamaica, the UK and France. The compilation takes off in fine style with Morgan Heritage’s acoustic version of Have no Fear recorded in 2006 in Kingston and ends with upcoming super talent Chronixx’ Beat & A Mic and an exclusive track from Gappy Ranks recorded last year in London. All three tracks were produced and mixed by Bost & Bim, a duo responsible for nine cuts on the album. Michael Rose was the first international artist to be put out on the label, and his Never Take it for Granted, recorded in 2002, is naturally included. Backing vocals on this song is provided by Trinibagoan singer and deejay Queen Omega. She also shares microphone duties with the incarcerated Buju Banton on Perfection. The impressive line-up on the album also includes Sizzla’s Good over Evil, voiced on joyous version of the Itals’ classic Ina Dis Ya Time, the haunting Dem Doom by Capleton and J Boog’s So Far Gone, a tune released in 2010 but still remains in the top 200 on the U.S. iTunes chart and has become one of his biggest songs. Special Delivery – the 1st Decade 2001-2011 drops as digital download on September 21 and includes no dull moments and perfectly showcases why many Jamaican artists look to Europe for well-produced and melodic one drop and dancehall riddims. About two years ago I wrote a serie of articles about reggae mash-ups, i.e. songs with a non-reggae a cappella set to a riddim. Among the people I interviewed were French production duo Bost & Bim. They had just released the third edition of their Yankees A Yard mixtape series, a series where they mostly use hip-hop and R&B vocals and put it over self-produced riddims. Now they’ve put out the third compilation in another series – The Bombing. The Bombing collects a number of the mash-ups utilized on the Yankees A Yard mixtapes, but this time in its full-length version. The Bombing Vol. 3 hosts twelve cuts and vocalists such as Justin Timberlake, Pink and Usher with their club bangers My Love, Get This Party Started and Love in This Club. The vocals fit perfectly to Bost & Bim’s bubbling, pulsating and bouncy riddims. With the Yankees A Yard and The Bombing series Bost & Bim have managed to captivate the spirit of both reggae and hip-hop, and hopefully this Trojan horse strategy helps to spread reggae to a wider audience. 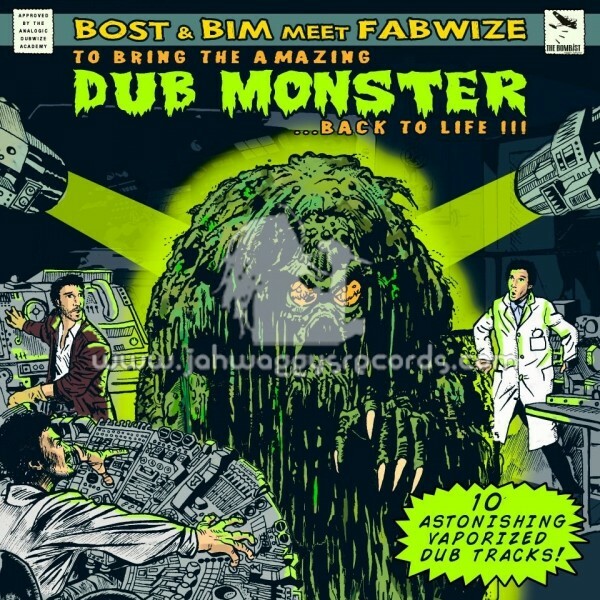 French producers and musicians Bost & Bim have teamed up with mixer and engineer Fabwize for the dub album To Bring the Amazing Dub Monster Back to Life, an album with a cover sleeve and song titles that directly refers to ace mixers Mad Professor and Scientist. This ten track sonic explosion dubs up some of Bost & Bim’s most well-known tracks and riddims, used both for original vocal cuts as well as mash-ups for their Yankees A Yard mixtape series. Fabwize has removed most of the vocals, but has on the other hand used a rather generous amount of the original instrumentation and distorted it with lots of delay, echoes and reverb. It’s playful, electrifying and upbeat. The many highlights include Dub Monster’s Curse, a doomsday version of the Judgement Time riddim, and the head nodding Dub Monster with its militant snare drum and robotic bass line. When you’ve worn out the vinyl version under the turntable needle I suggest you buy a mp3 version and hang the LP on the wall in your living room. I’m a big fan of singjay Omar Perry. His first two albums Man Free and Can’t Stop Us Now got a lot of spins in my home and on my way to work. His efforts on riddims such as Soprano and Gorilla have also been pleasant acquaintances. 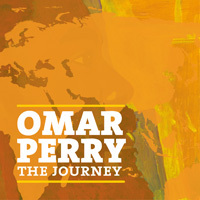 On his third album The Journey Omar Perry has teamed up with a variety of producers from around the world, including Lockdown, Bost & Bim, Tune In Crew, Itation Records, Danny Champagne, Watch Out Production, Wake Up, Mad Professor, Mafia & Fluxy and Ruff Cut. Plus a host of others. As you can guess this many producers makes for a non-cohesive whole. The Journey collects 18 tracks put together in one set without a clear story behind it. However, this makes something of a classic Jamaican album with singles from different producers thrown together. Even though it lacks cohesiveness there are several highlights, and unfortunately a few train wrecks. Be sure to check Bost & Bims’ relick of The Gatherer’s eerie Words of My Mouth, I&I Raising over a bass heavy relick of the Declaration of Rights riddim, the hip-hop infused Ready for the World with its tough harmonies or Thinking of You with Earl 16, a tune with a beat reminiscent of the Diwali riddim. The shaky part of this journey is when Omar Perry wants to make contemporary RnB and experiments with the criminally overused auto-tune effect. A tune such as World Let Us Down would have been enjoyable without Omar Perry sounding like a cartoon character. Same goes for the electronic She is So Nice featuring vocalist and producer Fabrice Boyer. The Journey is no straight road and includes several detours and it would have gained from being more cohesive and with fewer songs. Last year French versatile production and mixing duo Bost & Bim – responsible for some huge mash-ups with their Yankees A Yard compilations – put out the Hustlin’ riddim. Hawaiian singer J-Boog’s cut Coldest Zone made number four on Reggaemani’s best tunes in 2010. So it comes as a pleasant surprise when I heard that they are dropping two new versions of this wicked hip-hop influenced rub a dub one drop. Five cuts are now available in a digital Prince Jammy Style. Pick of the bunch is Valene’s intense My Ghetto Cry. The other version is in a nyabinghi style with a scent of soul. Pick of these five are once again J-Boog and his Coldest Zone. This varied one riddim album is available as digital download worldwide and as CD in France. Mixes are such a great way of finding new music. Just let someone else do the hard work of finding the best tunes and then you buy them for yourself. This year has presented lots of great mixes – ranging from old school reggae and dancehall to lovers rock and contemporary one drop. A trusted source for many years have been BMC. This year he didn’t produce as many mixes as usual, but one did really make an impression on me and made me reevaluate Tarrus Riley. There has also been some nice mashups and reggae remixes mixtapes. Max Tannone produced Talib Kweli and Mos Def in a reggae style. Both are wicked efforts. But my favorite this year was Yankees A Yard vol. 3 from French production duo Bost & Bim. Below are my three favorite mixes this year. I’ve played these many, many times and strongly recommend you to download number three and two and buy the number one. I’ve always liked Riley junior. But at the same time I’ve thought that he’s a little too soft. This mix changed my view completely. Swedish Safari Sound in cooperation with Dutch label Rock n’ Vibes. Many great dubplates from singjay Ziggi Recado and singer Maikal X. But also some of the greatest tunes in 2010. I must admit it. I’m a sucker for mash-ups and reggae remixes of hip-hop and soul. And this 40 track mixtape, only available on CD, made my summer.